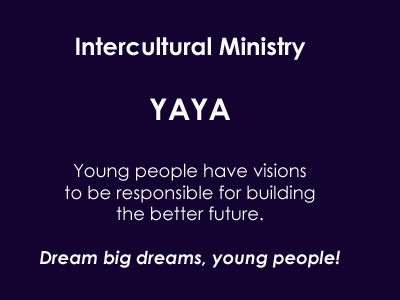 YAYA stands for Youth and Young Adults. YAYA group prepares the leaders of the future world. DPUC YAYA will focus on how we can be partners in living and managing the future life as the disciples of Christ, faithful peacemakers of the world. We value your faith journey in Canada and at your home church. In our worship service you are invited to participate in Choir and other parts of worship such as Scripture Reading, Confessing Faith, etc. DPUC YAYA is open for creating a new program by requests of the members. DPUC YAYA helps young people to be challenged in different ways as they develop the areas of their needs and incorporate awareness of the future world . DPUC YAYA group strives to build just relationships by recognizing differences and valuing mutural respect that leads to build the community with right relationships. We are not alone in our journey towards a better future. We need to be with someone who has a dream and passion for the future and is willing to share it. Our goal together in our journey is to be the future leaders who have confidence with thrust in God's new creation. How to make it happen relies on our small hands. Join in DPUC YAYA to make a team of peace workers as we prepare for to be the global leaders and having fun. To make your dream come true, you have to move. In your life of living out the truth, without your own action, nothing will happen to you and to the world. We provide programs that will benefit you to live in the fast changing world with confidence. You will have fun and beyond. This will nurture and develop you to be a leader in the world of the future. To make it fuller program we welcome your creative ideas and suggestions. 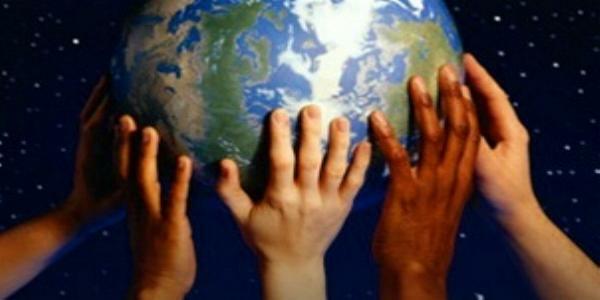 One of the events for the young people is to have "Essay and Project Competition" on the theme of global peace. Next one is "Job Fair" where we have a chance to talk with professionals in our field of interest. Next one? You name it! We are open to your suggestions for programs, events and activities that will benefit you in preparing for the future. Are you over 18 years old and under 39? This is the tentative YAYA age group. YAYA group is the people who will be responsible for the world of next 50 years or more. DPUC YAYA helps the young people be challenged in different ways as they grow older so that the lessons match their appropriate needs and awareness of the future world . Sunday Event - by participants request we can start any time. We value your faith journey in Canada and at your home church. in our worship service you are invited to participate in Choir and other parts in worship such as Scripture Reading, Confessing Fith, etc. DPUC YAYA is open for creating a new program by requests of the members. To make your dream come true, you have to move. There is a saying, "actualization proves the turth." In your life of living out the truth, without your own action, nothing will happen to you and to the world. We provide programs that will benefit you to live the future world. You will have fun and beyond it that will nurture and develop yourself to be the leader of the future world. To make it fuller program we welcome your sharing creative ideas and suggestions.